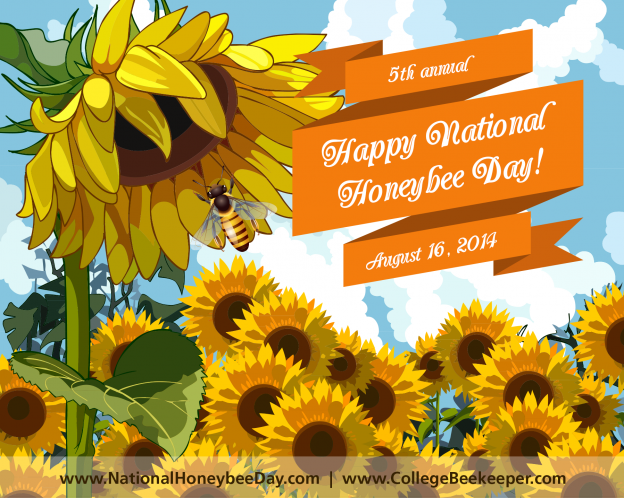 National Honeybee Day is Saturday, August 16! Here are 3 simple things you can do to help honeybees. 1) Don’t use pesticides or herbicides this weekend. There are often organic ways to get rid of unwanted pests and plants. You might even find that you don’t need to use these chemicals after National Honeybee Day. 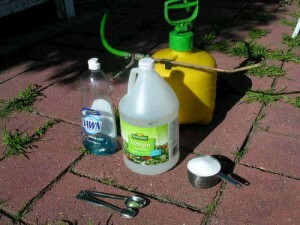 Organic Weed Killer Recipe: 1 TBSP Dish Soap 1 Gallon White Vinegar 1 Cup Salt Pour ingredients into your sprayer and spray weeds at base of plant on a dry day. Within hours, you’ll see the plants shrivel up and die. Check out Mother Earth News’ website for many organic pesticides. A lot of the ones we’ve used involved common spices like cinnamon and hot pepper flakes. These won’t hurt the honeybees and will deter bugs from entering your home. 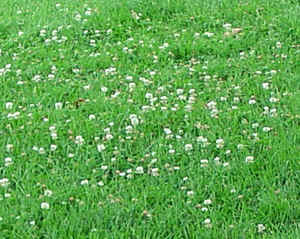 2) Leave a patch of clover or dandelions in your yard when you mow. These weeds are an important food source for pollinators, like the honeybee. In fact, you may have seen clover honey for sale in your grocery store, this is honey made primarily from these lovely clover plants that are cut down in your yard every week with the mower. Just move the mower deck to 4″ and you will go right over the flowers! This is a great habit to start for National Honeybee Day. 3) Buy honey from a local beekeeper instead of the supermarket. Not only will it taste better, but you’ll be supporting local honeybees for National Honeybee Day. This isn’t a personal plug, as we don’t sell honey commercially. There are a lot of beekeepers throughout the US. 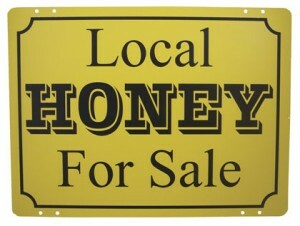 If you are unsure where to find local honey, use the local honey locator on Honey.com or local honey on LocalHarvest.com. Even in the rural area we are in, grocery stores have a section for beekeepers to sell their honey. Just check the back of the honey container to find out where it was packaged and avoid honey that comes from outside the US. Some countries don’t have strict test standards for what constitutes honey, and real honey is diluted with corn syrup. It’s that easy! Please be mindful of the world we share with other creatures, especially the ones who we are dependent on for a variety of our favorite foods.